If you like sci-fi and futurism, Spintropolis Casino could easily become your favourite online gambling site just by the right of its theme. Launched in 2017, Spintropolis is the virtual city of slots, table games, and casual games. 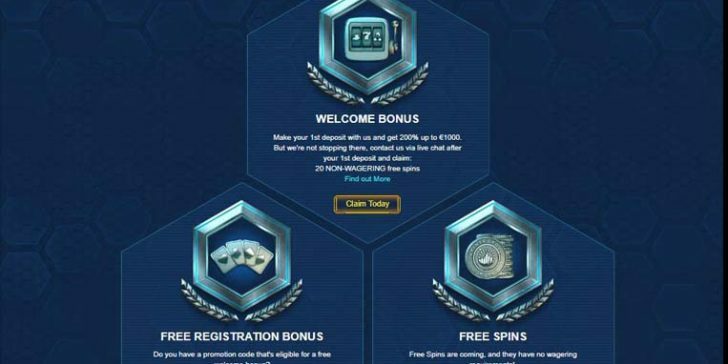 This groovy, space-age-inspired online gambling site has a nice VIP system, plenty of payment options, and a great number of accepted countries. The game collection at Spintropolis Casino is supplied by established as well as up-and-coming developers. Therefore, the blend is guaranteed to satisfy adventurous and brand-loyal players too. Unfortunately, the game categories are way too obscure which makes the site look a bit unorganized. Let’s take the live casino games for example, which were stuffed into the same category as your classic, online table games. Banking methods are of plenty as well; you can use e-wallets or any bank account. One of the best things about Spintropolis Casino is that they don’t have banking fees. The minimum deposit is a reasonable €20 while the maximum withdrawal limit was set at €7,000. Cashouts can take 2-5 days, but usually it’s on the lower end of the spectrum. Last but not least, let’s take a look at Spintropolis Casino’s bonuses. The welcome bonus package contains a 200% max. €1,000 deposit bonus, as well as 20 free spins (no wagering required for free spins). 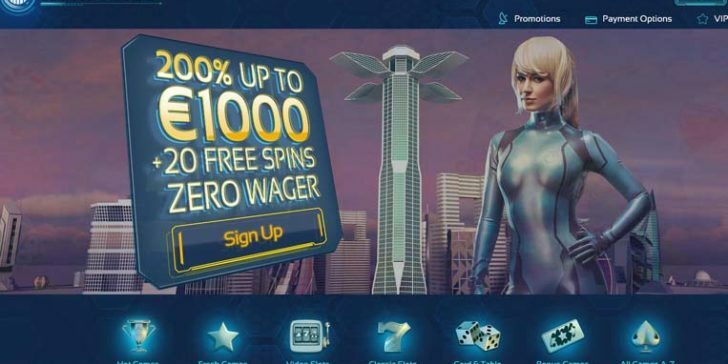 Though the only futuristic thing about Spintropolis Casino is its design, it is still a great online gambling site that has a lot to offer, so you should definitely give it a try! 200% max. €1,000 + 20 Free Spins (no wagering required for free spins) Play! Claim Free Spins No Wagering Requirements – Only Now, Only at Spintropolis casino! Play! Claim €1,000 Deposit Bonus Every Month at Spintropolis Casino Play! Deposit at Spintropolis Casino and Take Free Spins Without Wagering Requirements! Play! Redeem the €1,000 Spintropolis Casino First Deposit Bonus Play! Collect Wager Free Bonus Spins at Spintropolis Casino Play!